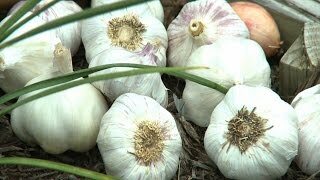 Sonoran Garlic produces plump, squat cloves on each bulb and offers a mild, well-rounded flavor and heat. It grows best where winters are cold, spring is damp and cool, and summer is dry and warm. Harvests VERY early and stores until around November-December. 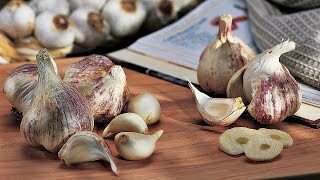 Harvest fall planted garlic the following season, late spring or early summer, about 210 days from planting. Harvest spring planted garlic the same season, about 90 days from planting. Averages 10 cloves per bulb. Garlic, Sonoran is rated 5.0 out of 5 by 1. Rated 5 out of 5 by AZ Gardener from Best for the Southwest I've grown this 3 years now, and every time it is the earliest to be ready, nice, even big heads and cloves, excellent mild flavor, and great keeper. Our warm winters don't seem to bother it at all, when many other garlics struggle. Definitely a favorite.